This video about introducing two horses is not a "how to introduce two horses" so much as it is a light into our world. We had the advice and assurance of several seasoned horse owners that this process could get a little stressful, but that all would be ok. Adding a new horse is something that seems so simple, but is it? 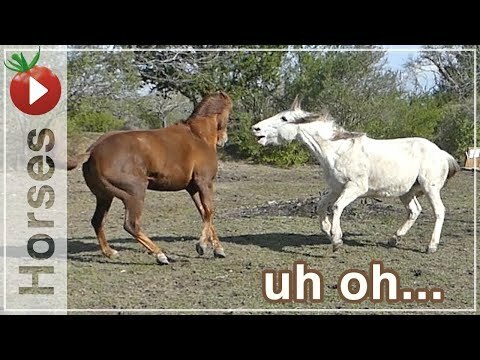 There are horses kicking and horses biting in other videos. Will Tao and Maggie get along? I hope you enjoy the journey! I think this is a good time to re-state my position on "education"! LOL I believe that the journey and the story are educational. We, as content creators, can't always have this perfect, white-washed, example of how to do something.